There are five different groups of seeds produced by our native trees and shrubs and each group requires processing in a different way. 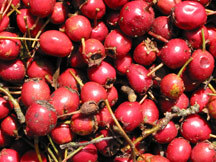 The five groups are: fleshy fruits (berries, cherries, apples); nuts; wings; pods; cones/bracts. Nuts can be removed from their husks, but this is not necessary unless a viability test will be carried out. 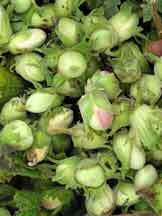 The viability of hazelnuts can be tested by placing the nuts (without their husks) in water. The ones that contain a lot of air will float. These are either empty or have only a small seed inside, which might not grow well. The full nuts will sink. These contain a healthy seed just waiting to grow. It should be noted though, that not all nuts that float are non-viable, so it may be worth keeping them all. Separate individual fruits from bunches and remove stalks and twigs. The outer fruit layer (the wing itself) is not normally removed from winged seeds. These should then be pre-treated immediately in the usual way. 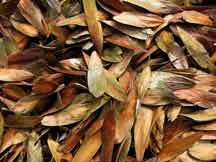 Brown ash keys will not germinate until the second spring after collection. The seeds of wych elm should be collected in late May or early June and sown immediately in prepared beds or containers. 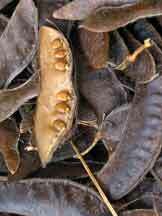 When these seeds are ripe they are almost fully dry and should be collected before the pods rupture. The pods can be laid out in layers or placed in paper bags and allowed to rupture in a warm, dry place. The seeds can then be stored cool and dry until time for treatment. 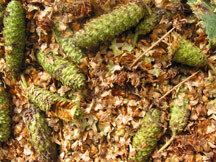 lder and birch are collected just as the cones or bracts begin to turn from green to brown. At this time the seeds are still firmly held within the cones or bracts. Take care not to leave them in the collecting bags too long as they will begin to heat up and the seeds will start to die. As they dry and turn brown, the seeds are released. Place the cones or bracts in an open box (or large paper bag) and keep in a warm, dry place. 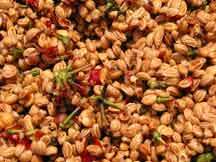 As they dry, stir or shake them in the box or bag to dislodge the seeds. When completely dry, store in bags in a cool, dry place.